Grammy-nominated dance music star Kaskade visited L.A.'s Grammy Museum on Tuesday for an hour-plus Q&A before a sold-out crowd. Kaskade became the first DJ to answer questions at the museum, which has previously hosted visits from the Beach Boys, Jeff Lynne, Lady Gaga and Jack White, among many more. For Kaskade to be in that company felt like a big moment for the EDM scene, which, while now undeniably commercially important, is still finding its way in terms of respectability. That's something Kaskade acknowledged to Rolling Stone when we sat with him in his green room before the event. When we pointed out the format gave the music a sense of gravity, he agreed. "Electronic music could use a little bit of that. I'm stoked that you think that because I feel that same way, man. I feel like it's maturing – we're seeing it. I think it's all part of the growing process of getting out and having more people hear the music." Having been a part of the dance scene music scene for more than a decade, Kaskade is more aware than most of the stigma the music still faces on occasion. For instance, when he became the first DJ to headline L.A.'s Staples Center last summer, LAPD lined the streets beforehand, as if they were expecting a repeat of the Stones' infamous Altamont concert. But the concert went off without a hitch, and to Kaskade that's how the music will eventually win over those who still see the scene as drug-addled kids. "People are nervous everywhere, but I think that will slowly, slowly calm down," he told us. He also notes the respect the genre is being given by the Grammy Awards, where his Fire & Ice album is nominated this year for Best Dance/Electronica Album alongside Deadmau5, Skrillex, Steve Aoki and the Chemical Brothers. In the competition for Best Dance Recording the nominees are again credible – Avicii, Calvin Harris, Skrillex, Swedish House Mafia and Al Walser. OK, maybe that last one, which attracted a lot of controversy, isn't credible. 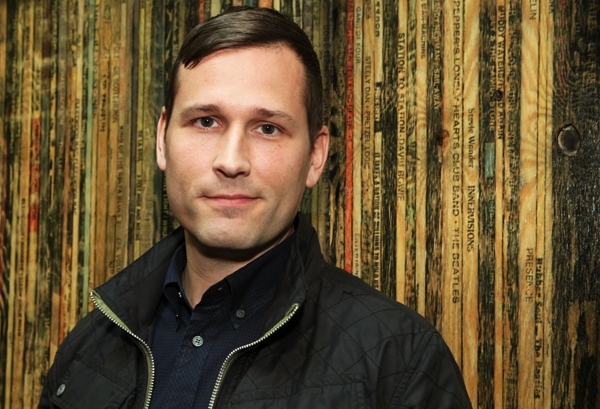 "It's a little insulting," Kaskade said. Yet he points out how much the category has grown just in the last few years. "I think these guys really strived to fix that," he said of the Recording Academy, "and that's why this year it changed. They're working the kinks out." Last year EDM hit the Grammy big time, becoming part of the primetime broadcast for the first time with a performance that included Deadmau5 teaming with the Foo Fighters. If Kaskade were to be invited to appear on the show this year, he has a band in mind he'd like to play with. "I just put my ballot in a few days ago, so it's all fresh in my mind, but Mumford & Sons would be really cool. That could be some craziness right there," he said. "They had some stuff streamed online and I was like, 'This show rocks.'" Whether he performs or not, the nomination caps a breakout year for Kaskade that saw his biggest tour yet, not just in terms of venues, but also dates. When we spoke with him last year prior to the Staples show he said that after the vastness of the venues he was playing, he found himself craving more intimate music – more like the "Ice" side of his Fire & Ice collection. With the new album "coming along," as he puts it, he already has a feel for the sound. "There are for sure some quieter moments on this next album, because I started right after I got back on tour," he said. Mimicking loud dance beats, he said, "I had heard [that] a million times and I was like, 'OK, cool, I'll get around to that.' There are definitely some quieter moments." The 250 fans inside the Grammy Museum got a surprise preview when Kaskade, who brought his laptop with him, was put on the spot by museum director Bob Santelli, who asked him to play a snippet of something new. "I'll play the first thing I come across," he said. "Which might be a good or bad thing." It definitely turned out to be a good thing, as he played a moment of a surprisingly soulful number, with a vocalist singing "All my life I've been a star" before the beat kicked in, revealing a rapturous groove. While Kaskade called the track "rough," Santelli joked, "I wouldn't change a thing," and he was supported by the loud applause in the room. "These guys are biased," Kaskade quipped. Maybe, but he told Rolling Stone he has been dropping some new material in as well in Las Vegas, where he still has a residency at the Marquee Club at the Cosmopolitan Hotel, and that's been going over "very well." He could make some additional progress on the record during the upcoming Grammy weekend, though it means missing Carnival in Brazil, which he's played the last four years. "It was a tough decision," he said. "But I've locked that whole long weekend to just kind of hang out, potentially get in the studio with other people that are in town."